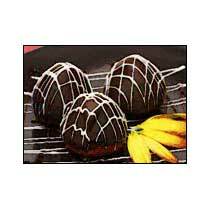 Our Dark Chocolate is also known as Lotus Regular Cooking Chocolate. This Dark Chocolate contains more than 60% Cocoa derivatives. Our Dark Chocolate is a true bitter chocolate with intense chocolate flavor and mild sweetness made with the use of Dutch processed cocoa liquor and deodorized cocoa butter with deep dark color and high content of cocoa solids. This Dark Chocolate has high cocoa content and cholesterol-battling antioxidants. Our Dark Chocolate helps ward off some of the factors associated with heart attacks and stroke. Also, it is high on the antioxidants called flavonoids.